Let’s get right to it… Are we a good fit for you and your project? We help clients with all types of print, e-learning and web design. 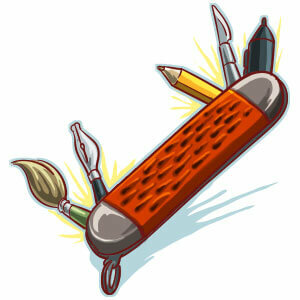 We also specialize in illustration, having illustrated children’s books, publications, puzzle books, packaging and logos. If you find yourself wanting to explore a new creative avenue, but are unsure of what process to pursue, what resources would be required or what outcome to expect, we’d love the challenge of walking that path with you. Ultimately, if you’re unsure if we’d be a good fit or not, contact us. We’d be happy to discuss your project and determine if we’re the team for you or not. View all nine categories of our portfolio, including several illustration styles, logo design, print design and web design.